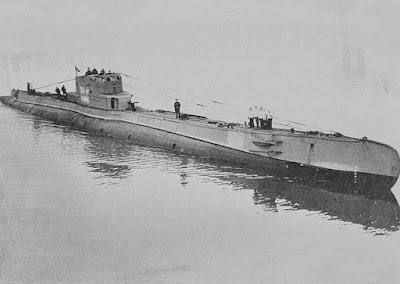 With the outbreak of WWII, submarine warfare took on new dimensions, and many heroic battles occurred “under the sea.” In today’s story, I’m sharing the adventures of a Polish submarine, whose escape received international attention and provided inspiration to many. Poland’s submarines had been commissioned for the purpose of protecting the 90 miles of Polish coastline on the Baltic Sea. The Orzel had only been at sea for about twenty months when Germany invaded Poland on September 1st, 1939, and World War II began. 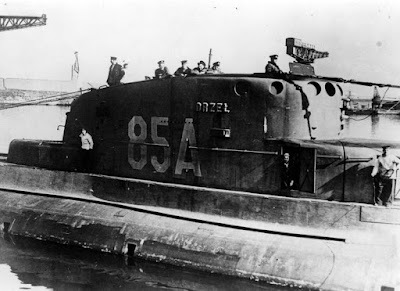 At first, the Polish submarine fleet carried on very low-key operations, observing and reporting German naval activity, but on the seventh day of the war, they were ordered to return to the Central Baltic region. Poland's submarines weren’t prepared for war—they’d all missed their May maintenance because of the seriousness of the international situation and had been at sea for nearly twelve months without an overhaul. On September 14th, the commanding officer of the Polish Submarine Division ordered the submarine commanders to carry out patrols and thwart enemy shipping as long as possible. When they could no longer continue, they were to head for the United Kingdom, and if that wasn’t possible, they were to seek internment in Sweden. When the Polish submarine Wilk attempted the long journey, the Germans attacked her with depth charges and with 38 bombs from the air. Despite the opposition, she made it safely to the rendezvous point at Rosyth, Scotland on September 20th. After patrolling the Baltic Sea for nine days, the Orzel landed at Talinn, the capital of Estonia, to seek medical treatment for the captain who suffered from stomach pains. 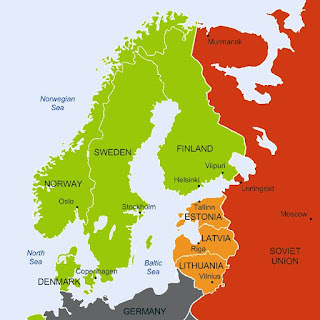 Officially neutral, but sympathetic to Germany, Estonia insisted upon following international law. The Orzel had to leave port within twenty-four hours, but yet the Estonian government wouldn't allow her to depart until after a German freighter had left (also international law). The German freighter remained in port, and the Orzel missed her departure deadline. The Estonians then interned the submarine and her crew. They removed the breach locks on the ship’s guns, the ship’s charts, the sailors’ small arms, and fifteen of twenty torpedoes. They also stationed two guards on the ship for surveillance. 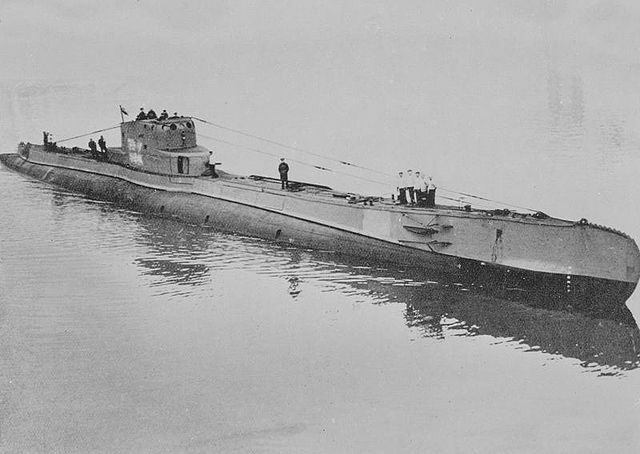 The Polish sailors had other plans and partially cut through the thick ropes mooring the ship (hawsers) undetected, leaving the sub attached to the jetty by a single strand. On the night of September 17th—September 18th, two Polish sailors crawled ashore and cut the lines powering the jetty searchlights. The last berthing hawser was severed, and the two Estonian guards were overpowered and taken aboard the sub. At the mouth of the harbor, the ship hit a rock, but the crew trimmed the tanks, and the sub floated free. The Estonians responded with rifle and artillery fire from the small fortified islands outside the city. The submarine submerged and fled all night, the sailors steering blindly with no chart for soundings. At dawn, they layed down at the bottom and waited as the hunters passed over them and depth charges burst around them. At midnight, they rose cautiously and looked around. They were at the entrance to the Gulf of Finland, and nothing was in sight. Needing to recharge the ship’s batteries, they remained surfaced at the entrance of the Gulf of Bothnia. Meanwhile, the Orzel's escape from Estonia became an international incident. The Estonians were accused of complicity with the Polish. The Soviets, who by this time had invaded eastern Poland, patrolled the Gulf of Finland with cruisers and six destroyers, looking for Polish subs. The Orzel’s crew landed the Estonian guards off the island of Gotland, Sweden (see map above - green island between Latvia and Sweden) with money, cigarettes, and a bottle of whiskey and then cruised the Baltic for two weeks. The Russian navy never found them. With their water supply running low and their cook suffering from an infected finger, the crew of the Orzel decided to proceed to Scotland. On the way they sighted a flotilla of German destroyers and dove to a shallow bed, avoiding detection. After dark they surfaced to periscope depth, ran aground, floated free, and crept along until reaching deeper water, all while the flotilla continued to patrol. The Orzel traveled up the waterway between Denmark and Sweden, arriving at the North Sea where she was vulnerable to German attack and “friendly fire” from British patrols. At six o'clock in the morning on October 14th, a British shore naval station picked up a faint transmission from the Orzel, and a few hours later a Royal Navy destroyer escorted the submarine into Rosyth. The arrival of the Orzel shocked the Royal Navy. . . . They had presumed the ship lost at sea. The ship and her crew went on to serve the Allies, sinking the clandestine German troop transport, Rio de Janeiro, in southern Norway in April of 1940. During her 7th patrol in May-June of 1940, the Orzel disappeared, never to be heard from again. To this day, her fate remains a mystery, although the Polish government has made repeated attempts to find her. 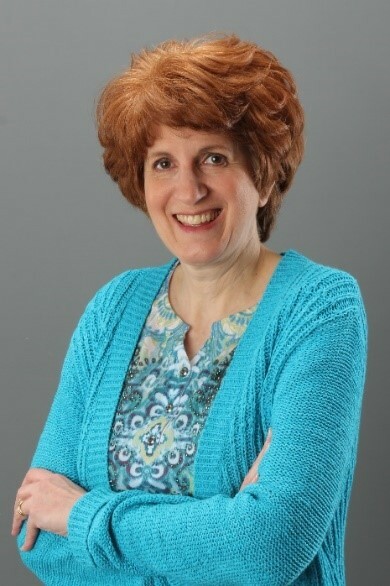 Cindy Stewart, a high school teacher, church pianist, and inspirational historical fiction author, was the historical category winner for ACFW’s 2014 First Impressions writing contest, a 2014 Bronze medalist in My Book Therapy’s Frasier contest, and tied for second place in the 2015 South Carolina ACFW First Five Pages contest. Cindy is passionate about revealing God’s handiwork in history. She resides in North Georgia with her college sweetheart and husband of thirty-four years and near her married daughter, son-in-law, and three adorable grandchildren. She’s currently polishing her first novel, Abounding Hope, set in Eastern Europe at the start of WWII. Now that's a story worthy of Hollywood! Thanks for sharing.